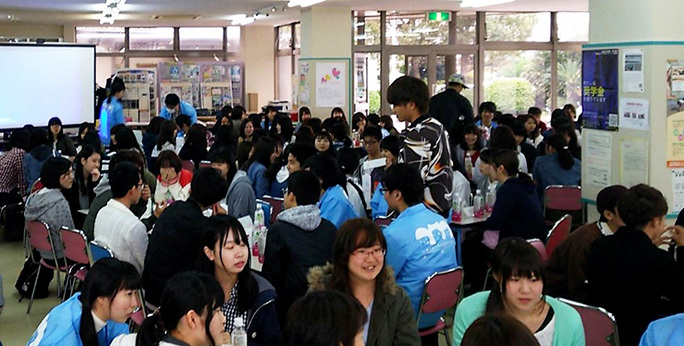 The Student Committee of Tsu City College Co-op (nicknamed “SKY”) held a welcome party for freshmen on April 10-11, 2017. In the event, there was a session to introduce fair trade products. Students were divided into groups. Some fair trade products and snacks were prepared on the table of each group. 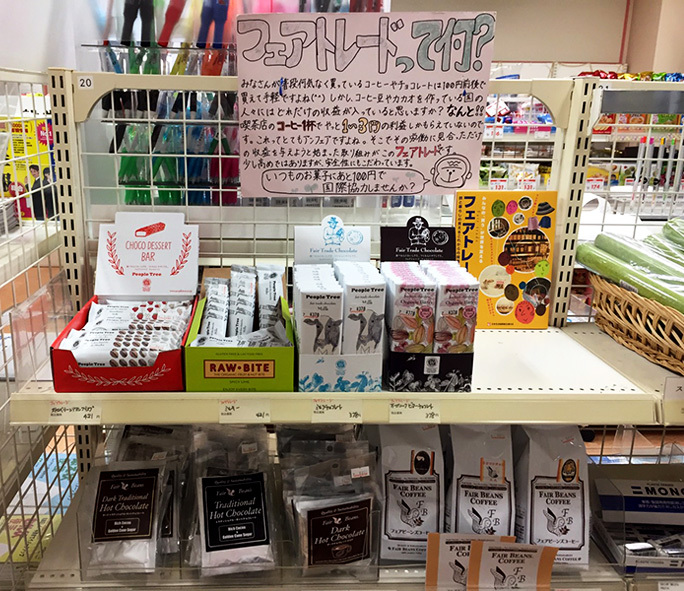 The participants heard the explanation on the introduction of fair trade products and fair trade products sold in Tsu City College Co-op while tasting the snacks. Q. Why did you decide that you wanted to hold this event? A. We went to a meeting of Tokai Block Student Committee to hear about peace and international activities. Then, we realized that Tsu City College Co-op hasn’t done any activities related to peace and international issues. That’s how we planned this event, with a hope that students would have a broader perspective and new interests on peace and international issues. Q. What is the best part of fair trade products? A. From the moment somebody picks up the item, he/she will realize that the action is really meaningful for somebody else. Q. What do you want to convey to co-op members through this event? A. We want them to feel the joy in having a new experience. In this event, they felt that buying fair trade products would bring benefit to other people. Please feel the joy in many things, like knowing that your actions are useful to somebody else and knowing new issues. This event is only a start. Encourage yourself to have new experiences by having interests in various things and issues around the world!